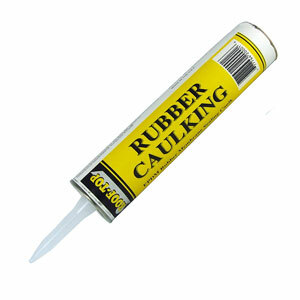 Rubber liner caulk can be used for a variety jobs for both new pond liners or existing liners. For new pond liners they can be used for seaming or in combination with seaming tape for additional security. For existing pond liners they can be used with liner patches to fix small holes or tears in the liners. Comes in a convenient caulk stick and can be applied with any caulk gun.